The Wood Butchers Guide to Technology: Travel, work and an iphone- doable ? Travel, work and an iphone- doable ? How practical is it to do work while you travel using an iphone ? 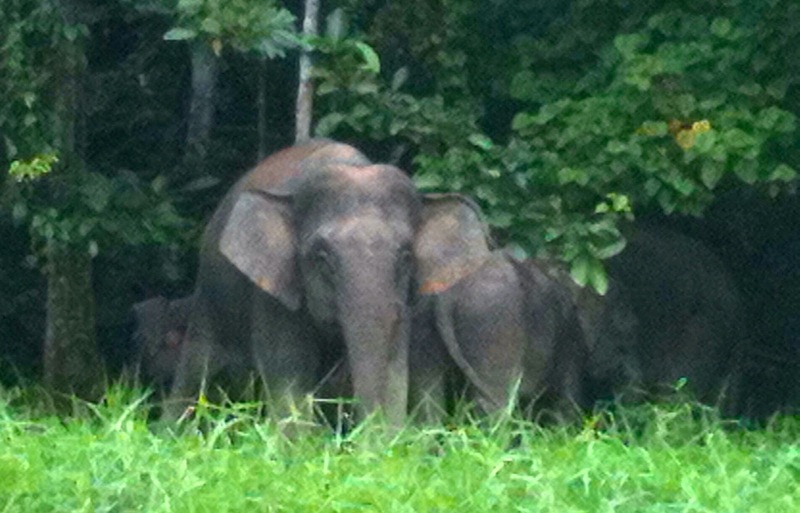 I have just returned from a 6 week trip to Borneo (Sarawak, Sabah) and Cambodia. It was my first time of travelling with any form of technology. Previously I have thought the beauty of travel was to get away from being contactable! My - how things have changed. So - what did I take ? Not much really. But, as my wife was travelling with me I will explain the set up that was used by both of us and why. On a previous trip to Borneo (2008) we took a group of people with AETA ( Asia EducationTeachersAssociation) to Borneo. One of the group broke their ankle - we therefore purchased a cheap mobile phone to be able to arrange insurence, hospital, ecatuation flights etc. We therefore decided a mobile phone would be necessary on this trip. I proceeded to ensure my iPhone (3Gs) was unlocked. Yeah - I know - an old model - but many of us neither have the money or the need to continually upgrade. I wasn't a high phone user. Ring me and you will get a 2 minute conversation and I didn't use it for much else. The idea was to get a Malaysian sim to give us emergency contact as well as data. My wife was taking her iPad 2. She teaches Indonesian and was going to continue contact with her class through an Edmodo classroom she had set up for this purpose. It was only the wifi model but we figured that wifi was fairly extensive now and we could tether it to the phone for the more obscure locations. We really didn't want to be carrying 2 full size iPads and 2 phones - so it was one of each. How practical did it work out - and what sort of uses did we put them to? I set up the iPhone with a Malysian sim - so I had phone contact with the outside world as well as Internet connection. I started using my phone in ways I had never used before. Because all travel documents are now digital I had 3 main storage areas. My email ( with a folder called "travel" ) for any emails related to the trip. Evernote and Google drive, where copies of documents, hotel receipts, flights etc were kept. The day to day use of the iPhone was mainly to check email. I could do this easily at most hotels ( using wifi). My phone at home, as I mentioned, is a fairly simple affair. But I did download a few apps that I found useful. Malaysian Airlines has an app that allowed me to keep up to date with flight times, changes and my eticketing. An app for currency conversion. Trip Advisor - for other people's opinion of things. Even a guide book in iBooks - not very satisfactory on the small screen. I used Edmodo to check on my own class, as well as make a few postings. Handy on the phone but a very cut down version and not overly useful - other than checking posts and making a post. Edmodo on the ipad, however, much more useful. My wife used the ipad for postings, assignments and grading in Edmodo. To give visual support to postings the iPhone was used as a camera. The size of the phone was more suitable for using on the street than the full size ipad. I would take photos on the iPhone, put them into photo stream and they could be picked up by the ipad. An interesting observation we made on this trip was the amount of people we observed using an ipad as a daytime camera. Not to mention the number of people using phones - which is not surprising considering the quality of some of the phone cameras. I also used the phone to record audio and video which was emailed to others. Not good quality - but basic enough. I at times listened to music that I had stored on the phone. Not often - as the battery life was fairly limited. The main document programs I used were Evernote, Pages and Google drive. I tended to jump around a little - from one program to another - trying to find what worked best. Pages tends to be my favoured word processor on mac and ipad. With the iphone, it also showed up to be the smoothest. Out of the three - it was the only one who could do tables on the iphone. I tend to use tables a lot within documents - so this was a plus. I was using this for a while until I discovered I had accidentally deleted a section of my document. In Pages on the iPhone - there was no version or undo function. This did create an issue for me. Because I had a lot of the travel documents (pdf's, emails and notes ) in Evernote, I decided I would give it a go for general use. It worked well. If fact I kept a general travel diary in Evernote. I like Evernote for it's simplicity and functions such as hyperlinks, voice memo's and reminders. But I hadn't really used it as a working journal. It worked well- but also it didn't have any version or undo function. Although the ipad/computer version has tables - the iphone version does not. Still - I perserved with it - and it worked ok. I also use Google Drive ( and of course Google Docs). As you can see I am a little all over the place as far as work flow. The iPhone version of Google Docs (document) won't give you tables but you do at least can select spreadsheet - so that is a bonus. Although a simpler version than the ipad or computer Google docs - they worked out fairly well. Like Evernote I had a number of documents stored in Google drive - from pdf's of visas, travel information etc. It has the advantage of storing all types of files - PDF, Pages, doc etc. I ended up starting and doing most of this blog in Google Docs. As you can see I tended to jump from one to the other ( Evernote, Pages, Google Drive). Which one was best on the iPhone? Although none of them had an undo function ( and I mean where you have accidentally deleted something and want it back) - at least with Google Docs, you could open the web version and select a past version of your document. I'm sure this will also be available with the new web based iWorks as well. But at the moment I found Google Docs the best. The more I used the iPhone - the easier it became. But it still was not as easy as using the ipad. Typing on the iPhone was slow, cumbersome and painful. Obviously they are not designed for this but with apps being customised for the phone - there must be a lot of people doing it. My conclusion after 6 weeks ? The iPhone is usable in a pinch. I was surprised at how quickly I could use it towards the end. The apps are all cut down versions ( naturally! ) and miss some useful functions but are at least useable. The touch pad is not a good size for any extended typing. The worst thing about it - the battery life ! Having to charge every night ! Sometimes during the day. When you are using the phone for typing, web browsing etc it is surprising how quickly the battery drains. I also noticed that heat seemed to drain the battery even more quickly. These are roles the ipad is designed for and handles well. What about the phone as a phone ? I must admit I only made a few local calls. No overseas ones. We ended up using FaceTime ( on the ipad) to talk to people back in Australia. With wifi available in most places this worked extremely well. My end thoughts. Next time I would definitely invest in an ipad mini. It is the perfect compromise size - without having program's cut down further. Although Google Docs, Evernote, Pages, Evernote are cut down versions from the computer versions, the ipad ones are fully usable and much more pleasant to use. The ipad mini is a smaller size with full size features and programs. The iphone - too small, apps cut down even further and battery life that is near on impossible for this sort of use.